According to the UN, quality education is the foundation to create sustainable development. Education and teachers’ empowerment are therefore considered as key factors in supporting youth as a globally connected engine for change. Entrepreneurship education plays an important role in helping young people develop the skills, values, creativity and attitude needed for today’s challenges; while STEM (science, technology, engineering and mathematics) education provides the foundational knowledge to apply their ingenuity. Soft skills combined with an entrepreneurial mindset and deep understanding of applying knowledge empowers young people to become actors who can provide solutions to complex challenges. The Sci-Tech Challenge (a partnership between JA Europe and ExxonMobil) is a programme designed to motivate students aged 15-18 to consider Science, Technology, Engineering and Maths (STEM)-oriented careers, raise their awareness of the importance of STEM skills and how they can be applied in enterprising ways to tackle the challenges of tomorrow. Furthermore, the programme helps raise awareness of energy-related issues and provides students with hands-on experiences in the application of STEM skills. 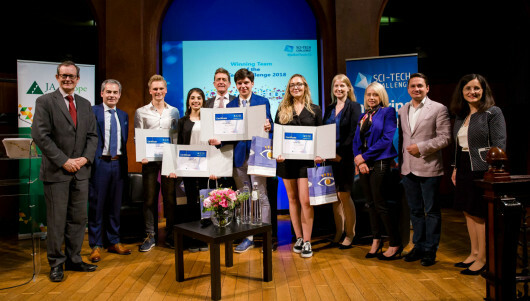 After national level competition, the winners of the Sci-Tech Challenge will meet in Brussels for the final stage of the competition. This year’s challenge is creating a plan to upgrade and modernise Brussels’ inner-city transport network in a cost-effective way, while reducing the environmental impact. - How can entrepreneurship and STEM education help to solve today’s complex challenges, such as balancing the need for social progress and economic growth while managing environmental impact? - Where are the best-practice examples of how education is helping to develop effective solutions? - How do the roles of policy and citizens support each other in addressing these challenges? - How important is it to introduce entrepreneurship education into schools from earlier ages?